William Earl Jennings was born in Ozark, Arkansas on April 20, 1919. This was Easter Sunday and he always considered Easter Sunday as his birthday, regardless of the date. He died on February 15, 1998 in Rogers, Arkansas at the age of 78. His paternal great-great grandfather was Isaac Hunter, who settled in north Arkansas around 1820 His paternal grandparents were David Hunter Jennings and Minnie Mae Martin Jennings. His maternal grandparents were Mancel Bonaparte Lynn and Ida Augusta Hutto Lynn. When Dr. Jennings was four years old the family moved to Morrilton where he was home schooled through the 3rdgrade before going to Morrilton Public School from which he graduated at the age of 16 in 1935. He attended Arkansas State Teachers College for two years and then entered medical school in 1937 at the age of 18, graduating in 1941 at the age of 22, the second youngest in the school’s history. Immediately after graduating he went to St. Luke’s Hospital in Jacksonville, Florida as a surgical intern. The day after Pearl Harbor he joined the U.S. Army and was officially inducted on July 20, 1942. (Discharged January 24, 1946) His service record is remarkable. He was involved in 4 major battles in New Guinea where he served in the hospital unit. He was the only doctor with a flying column that liberated prisoners. He was the surgeon in the southern end of Luzon Island during which time he was injured twice but refused evacuation until the fighting was over. When Japan surrendered he spent 3 weeks with the Army of Occupation in Japan. He received nine medals including the Bronze Star distinguishing his military career. When he returned from the U.S. Army he married Jean Russell Thompson (died in 1971) and moved to Rogers, Arkansas where he established a practice. They had 3 children, two boys and one girl. A second marriage to Bonnie Hall Sudberry in 1976 lasted until his death. Frequent house calls made for late hours for he covered territory from Madison County to Oklahoma. Most of the babies born in Rogers were delivered by Dr. Jennings until an obstetrician moved into the area. Often he was paid in produce and after one year if a bill was not paid he stopped sending notices. For six years, in several towns in Benton and Carroll County Arkansas he held free cancer clinics. Dr. Jennings felt that continuing education was imperative. He was Fellow or Diplomat in several professional organizations related to surgery. He was on the St Mary’s Board of Directors for 19 years, was chief of staff at the hospital four different terms, was president of the Benton Medical society three terms. In 1978 St Mary’s Hospital honored him with a retirement reception for his 50 years as a practicing physician. 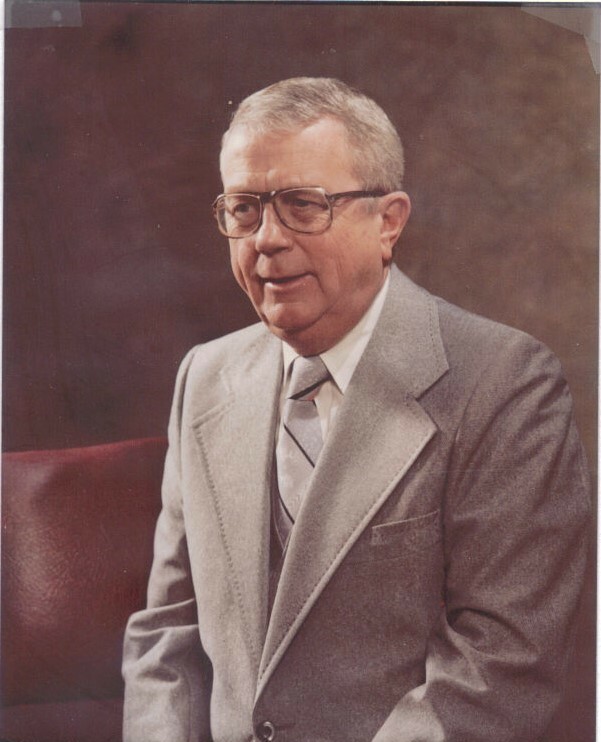 It was my good fortune to know William Earl Jennings as a professional colleague, personal friend and brother-in-law. Dr. Jennings experienced the rapid evolution of medicine from a healing art to a scientific technology. He was able to add science and technology to his healing skills, a joyful experience for both the doctor and patient. Like most successful old country doctors, Dr. Jennings loved people and found much joy in the sharing of his compassion and generosity. He was a fun loving man who was a master at the game of bridge and excellent hunter and fisherman. His intellectual, social and political skills made him a natural leader and community supporter, as evidenced by the service he rendered to his town and their people.